A light rain taps on the soft buggy top as I drive through the misty woods on a grey November day. 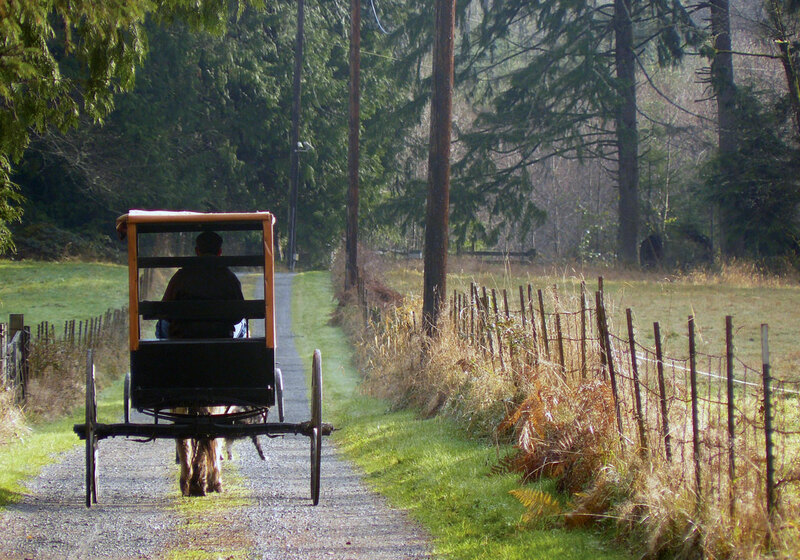 The iron buggy tires and rhythmic fjord-clop provide the soundtrack for a stage set with giant cedars and hemlocks that seem to float past in a late autumn dream. I note here and there a mushroom, a droopy late season fern, the last brown leaves on the young alders in the clear-cut; a deer in search of a mate dodges cagily in and out of salmonberry thickets. The gelding is active, spunky, too long without work. He tests me; takes hold of the bit and goes. I don’t worry much as I know the Big Hill is coming which will quickly put an end to his over-eager zeal. Once down the other side I deliver fresh eggs, tomatillo salsa, garlic, potatoes. I could have taken the pick-up and saved time, but then I would have missed seasonal nuance of the woods around me. And what would I have done with the saved time? What does it even mean to save time? Is time something that can be saved, tucked away in a box for later use when you find yourself up against a deadline? With my first introduction to horse drawn travel as a teenager working on a tourist wagon train, I was immediately drawn to the pace; its rhythm and cadence seemed to suspend time, to bring the mind reassuringly into the present moment. It felt right on a profound level – as if this was the speed at which human beings were meant to travel. Horses walk at a pace that invites contemplation, smoothing the rough edges of a stressed and over-full life. One of the great ironies of the modern world (post-modern?) is that the faster we are able to travel the more we feel the need to hurry, the more we hurry the more we worry, and the more we worry the faster we go; an endless feedback loop of hurry and worry. The more time we save, the less time we seem to have. I’m reminded of an experience I had in college. I gave up riding my bicycle to class in favor of walking because I found that the just-in-time cross town speed of the bike added stress to my life, while the contemplative nature of a six or eight block walk imparted a certain peace to the beginning of my day. I have always been fascinated by the various transportation methods that humans have contrived, especially sailboats, steam locomotives and horse drawn vehicles. Sails are like unto horses in that man must enter into a compact with nature. The wind will blow where it will. The tides will rise and fall regardless of our schedule. There is a certain magic to the feel of a boat moving silently through the water with nothing but the wind nudging it along. 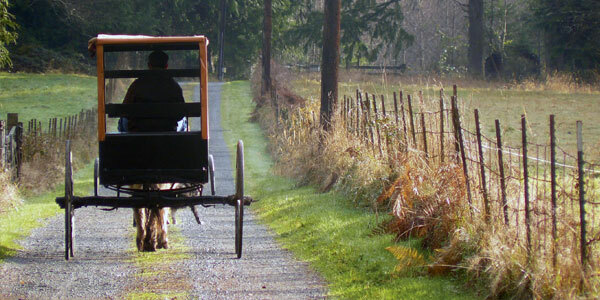 Its motion and pace are not unlike that of the buggy snaking down the farm lane. The horse is willing just as the wind is willing; with both we must conform ourselves with skill and knowledge to nature’s pace. The steam engine has it’s own allure. It is seemingly alive: a benevolent, marvelous, mechanical fire breathing wonder. Union Pacific has had the vision and commitment to keep two mainline steamers in active excursion service. The sight of UP 844 pulling a string of vintage yellow passenger cars over Sherman Hill is one not easily forgotten; a thundering testament to the power of steel and steam. I will probably never get a chance to sit at the throttle of a steam engine heading up some winding mountain grade and feel the romance of the rails as the lonesome sound of a steam whistle echoes off canyon walls. Nor will I sit and watch out over the bowsprit of a schooner rounding Cape Horn as the mighty wind and waves test men’s mettle and fill their spirits with the allure of the sea. Though I do like to play with model trains and sail my 12’ wooden boat on occasion, sail and steam as vocations are resigned for now to the dustbin of history. It is within my reach however to draw a living from the earth using that third glorious form of transport – the horse. The horse-drawn world, though gone from view for the majority of Americans, is still very much with us. We can, if we so choose, buy some horses and a machine or two and put them to work. 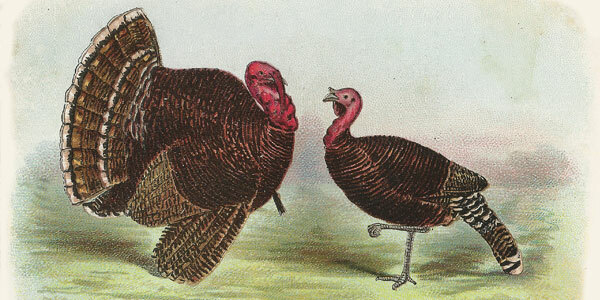 It is still very much within our ability to experience the fullness of a slower pace of life. 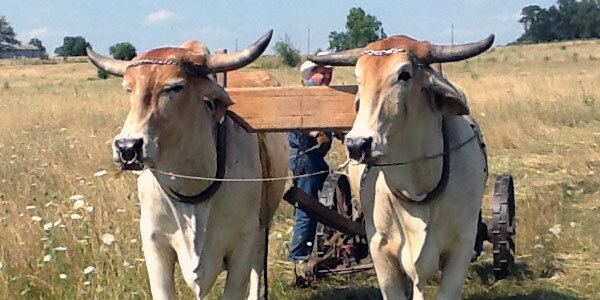 One of the preeminent challenges of starting a horse-powered farm in our time is finding good equipment. It has been 60 or 70 years now since horses were replaced en masse by the tractor. 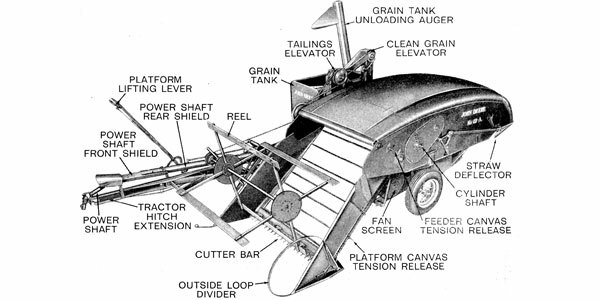 By 1950 equipment manufacturers had for the most part ceased building new horse-drawn machines, making good older implements more difficult to find with each passing year. We are blessed in this country however, to have a large and vibrant population of plain folk who have never ceased to rely on horses for transportation and fieldwork. This has insured a market for repair shops, the production of after-market parts, and even a handful of new equipment manufacturers. 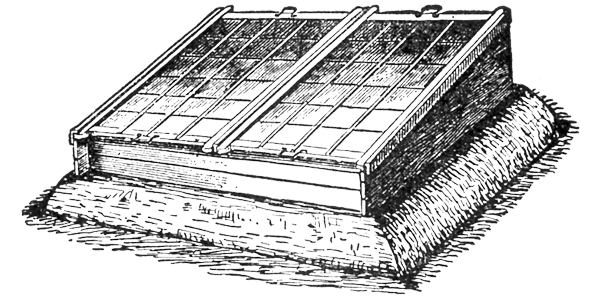 Despite the fine new equipment offered by the likes of Pioneer and I & J, there are still some hard to find items that are not currently offered new. These include: ground drive mowers, grain binders, loose hay loaders, dump rakes, buck rakes, loose hay stackers of various kinds as well as barn trolleys and related hardware. With patience and tenacity most everything on your list can eventually be found. What follows are some thoughts on specific ways in which you can begin to assemble a respectable arsenal of horse powered farm equipment. 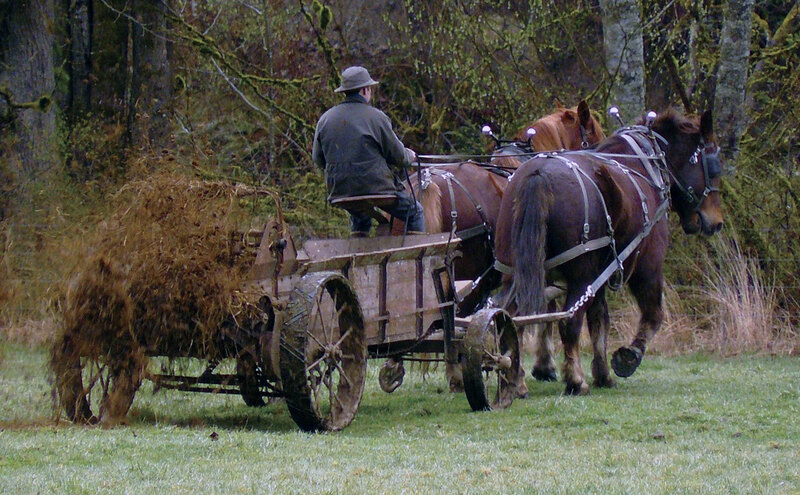 There are several good auctions every year around the country that feature horse drawn tools. Sometimes auctions feel like a crapshoot. You may find exactly what you are looking for at exactly the right price, but then again you may leave the sale with the distinct feeling that you would have been better off staying home and weeding the onion patch. Beware of the Dupont restoration. This is where a slightly unscrupulous individual has slapped a coat of shiny paint over 50 years of rust hoping to lure in unsuspecting bidders entranced by the glitzy look of the thing. Remember, “All that glitters is not gold.” There was a disc at the SFJ auction last year like that. It sure looked nice, but upon closer inspection I found that the discs were tight and did not move freely as they should. My horses would not have approved of the extra draft that came with this tool. Of course there are times when you may want to buy something in need of a little work. I bought a dandy John Deere Big 4 mower a couple of years ago in this category. I rebuilt and shortened the cutter bar, installed a new oil seal and pitman and put the Fjords to work on it – for considerably less money than the fully restored mowers, but certainly no less functional. I like to look for the quiet little deals that don’t draw a lot of attention. Some implements are perfectly serviceable and are of good value simply because they lack paint, need a tongue, or require some minor repair. There was a good McCormick #7 mower a few years ago that needed some paint, but was otherwise excellent – a very good value for a cash strapped young farmer just starting out. Fully restored mowers were selling for around $2,000 while this little gem went for $600 or so. Some words about value: people are always asking me what a certain piece of equipment is worth. Worth and value are elusive, moving targets, especially with something like horse drawn machines. I remember a specialized vineyard cultivator that sold at the SFJ auction for an almost unbelievable sum a few years ago. Seems crazy until you realize that here was a piece of equipment not in current production (I had not laid eyes on one before, nor have I seen one since) and the person who bought it was actually going to use it in his vineyard. I’m sure it was to be a foundation of his whole operation. Its worth to him was far greater than to me or anyone else who thought it no more than an interesting curiosity. I was once given a bad time for paying over $100 dollars for a barn trolley. But imagine if you will, me, sitting there in July with 20 acres of hay on the ground staring at a serious barn break down and needing a part that hasn’t been manufactured since 1935. At that point $100 to save my whole crop would seem a pittance. After all – when you put loose hay in a big old barn no trolley – no hay. Let’s say you are going to plant 2 acres of potatoes. 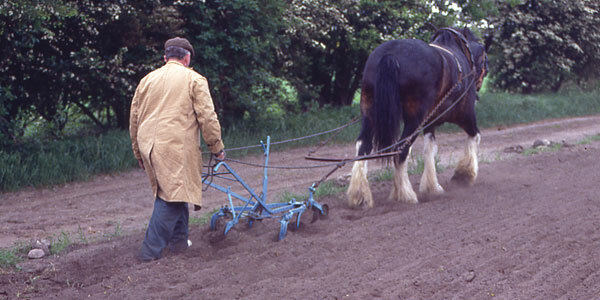 How much would you pay for a good walk behind potato digger when the alternative is hand digging? Fifty dollars, $100, $250? You must answer this question for yourself. There is no Kelly Blue Book for horse drawn implements. What value should you place on the cornerstone of your operation? If you are going to farm with relic technology you must be ever vigilant for items that will enhance your operation. Sometimes opportunity knocks and sometimes you must do the knocking yourself. There was a New Idea manure spreader in front of a house on the outskirts of my hometown. There it sat, for years neglected and seemingly forgotten. 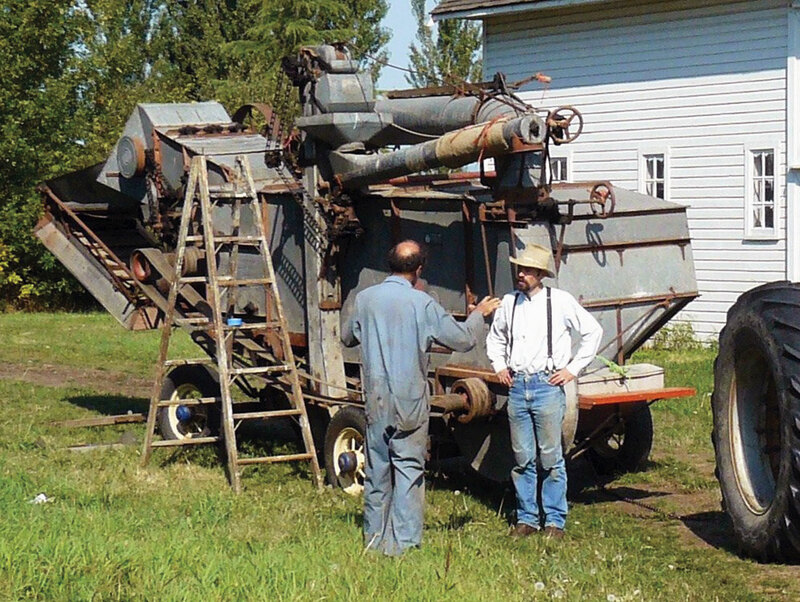 When I move back as an adult and was in the early stages of assembling my implement roster I knocked on the door one day and simply asked if they would be willing to sell the old spreader. A young woman answered the door and led me to a couch where a very elderly gentleman lay, breathing through oxygen tubes, and obviously very near the end of his life. Despite his weakened condition he seemed pleased that someone was going to give the old spreader life again and he happily sold it to me for $100. Always keep a keen eye out for old implements that appear abandoned in fencerows or out behind barns. Sometimes they will not be of using quality but can still be valuable for parts. Keeping equipment field ready will require a certain amount of spare parts. When using implements that have been out of production for decades you need to think ahead about the inevitable breakdowns that you will experience. I have lots of spare parts that I have collected here and there over the years including a tedder that I completely dismantled after an important cast iron gear housing broke beyond repair. I completely dismantled it and organized the parts such that when (not if) I have a breakdown I can quickly find the part I need and get soon back to work. There is a silent, machinery-killing epidemic that exists in front yards all over America. Perfectly good machines are sitting around like statues with flowers planted around them. I have not yet done it, but I have always thought that if I spotted a good mower sitting in someone’s yard that I would offer a parts mower in trade for the good one. After all, why should a flower gardener care whether or not the gears are all chewed up? The flowers certainly wouldn’t. I also enjoy digging around in antique stores for good items. In such places I have found loose hay harpoons, pulleys, walking plows, hand tools and a dandy Planet Jr. seeder that just needed new handles. There are a surprising number of wonderful new horse drawn implements being manufactured at the present time. From my experience the new machines display high quality workmanship and solid sensible engineering. Years ago, frustrated by my lack of success at finding a good older one, I bought a brand new Pioneer walking plow. It is a gem: pure functionality with readily available parts and a pleasure to use. I also use Pioneer forecarts. I appreciate the built-in flexibility allowing the easy use of features such as the scraper blade that mounts on the back for plowing snow or maintaining roads. There are a variety of new manure spreaders, discs, harrows, plows and cultivators also on the market. Because of the high quality of these tools and the fact that they require no restoration to be field ready, they are a good, solid value- a capital investment that a young farmer can feel good in making.